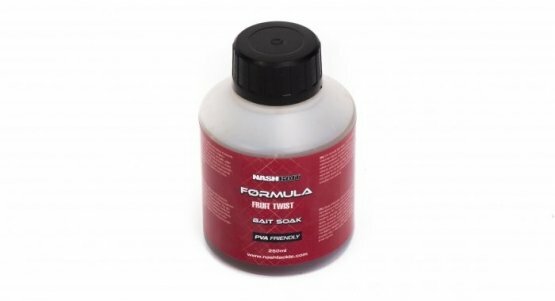 Formula Bait Soaks are extra dense dedicated liquids that concentrate taste and smell around a hookbait for long periods in flowing water or on big venues, ensuring when carp arrive in numbers there is always maximum attraction in your swim. 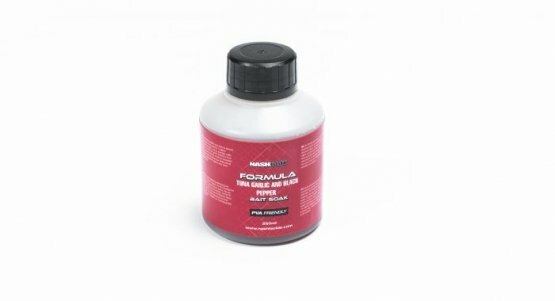 Dilute Formula Dips 50/50 with water and surface coat all your Formula boilies up to 12 hours before a session. The thinned down dip impregnates the boilie skin for massively enhanced baits. 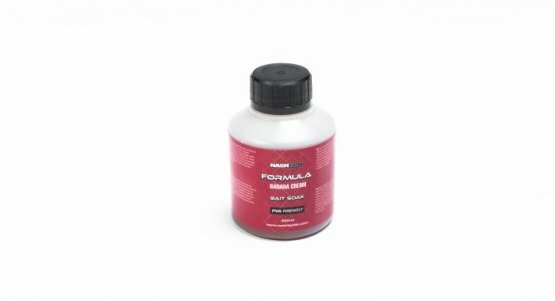 Available in 250ml bottles in Fruit Twist, Banana Cream and Tuna, Garlic and Black Pepper.